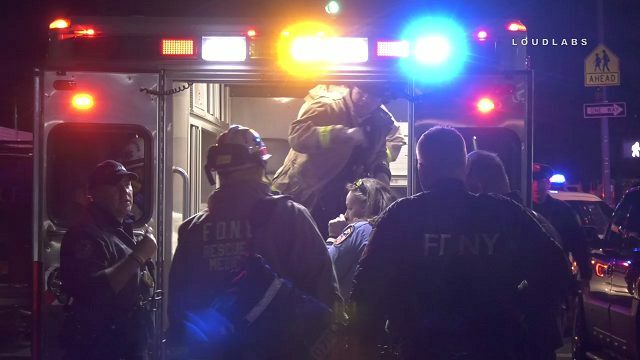 4.16.19 | by Adam Balhetchet | Video shows firefighters police and EMS responding going down into the subway and rescuing man struck by a train. A witness on video alleged the victim was under the influence and fell while moving between the train cars while trains were in motion. The victim was extricated and transported to an area hospital with non-life-threatening injuries. Happened 111 St & Lenox Ave 3:45 am Tuesday, confines of 34th Precinct.